Humidified food warmer display | Made by the industry leader Stein Industries Inc.
– Removable stainless steel trays. – Temperature range 0 – 165 degree F.
– Available 120 / 220 VAC. 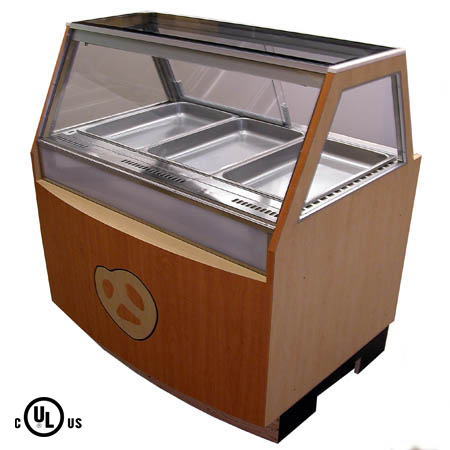 – Can be mounted in a custom cabinet to stand alone or can be integrated into your concession stand, also as a unit without the cabinet to sit on backbar or counter. – Fully illuminated, easy to clean and maintain. – Available with one, two, or three pans. Interested in finding out more information? CLICK HERE AND CONTACT US TODAY!